This welded steel transport chain is made with quality in mind for heavy-duty transport securement in a multitude of tie down and load binding applications. 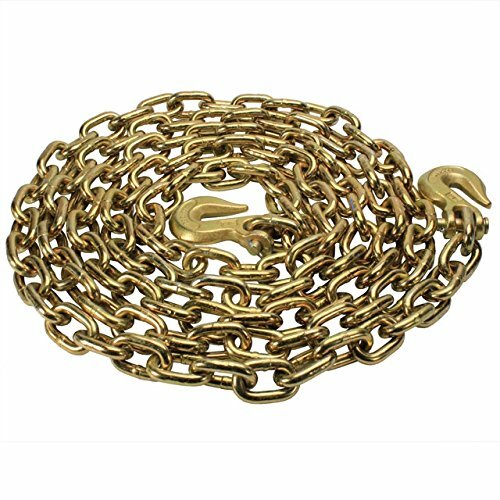 All US Cargo Control chain comes in the customer preferred standard link variety and is made to the strict specifications set by the National Association of Chain Manufacturers (NACM96). Grade 70 Transport chain meets stringent DOT regulations for safe tie downs and is a great improvement over standard high test chain. The removable clevis hooks and the chain are both stamped with G70 for easy identification. Do not exceed a work load limit of 6,600 lbs. Work Load Limit = 6,600 lbs.